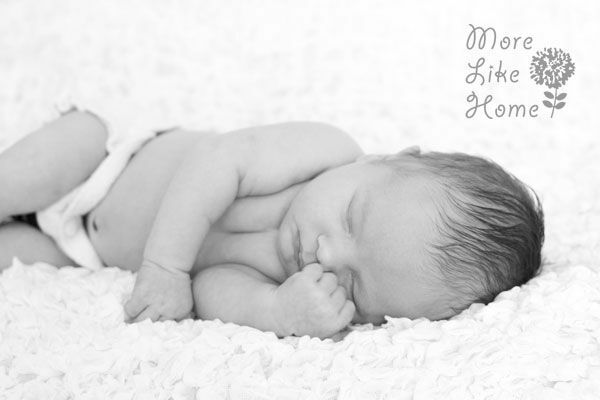 *Update: check out our DIY newborn photos for M3 here! 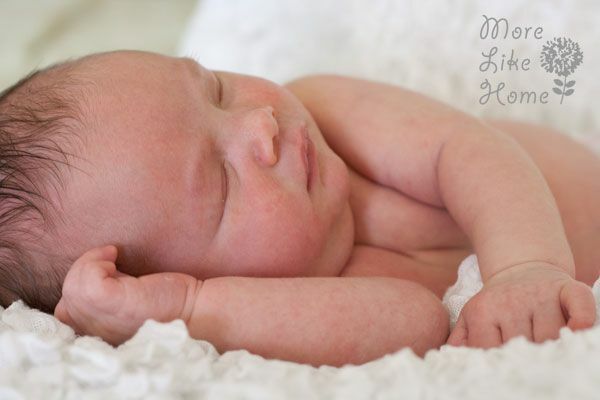 I'm pretty sure everyone who has a new baby wants those adorable, perfect newborn pictures. But you guys, newborn photo shoots can be EXPENSIVE. I looked into getting pictures before Baby B was born and between the fees for shooting, fees for the number of shots, and fees for the cd, it just wasn't something we felt comfortable sending that much money on. So I winged it DIY style. While they may not be up to professional par, I'm so happy with how they turned out! And did I mention they were basically free?? 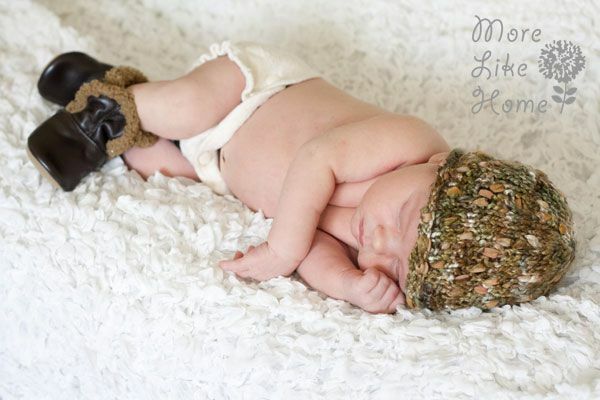 Update: check out our DIY newborn photos of m3, too! I'm definitely not an expert. Definitely. 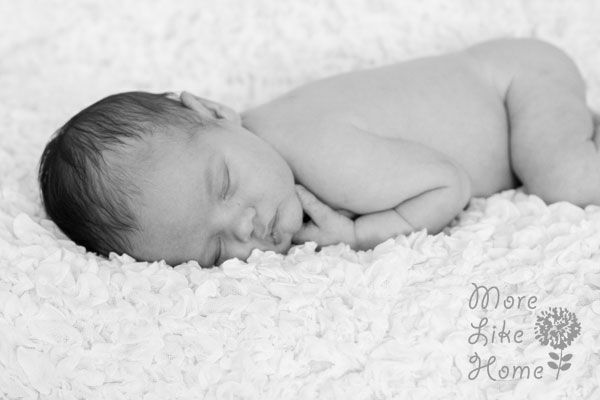 But I want to share the tips I have in case any of you want newborn pictures and can't afford a photographer. So here we go! Use Good Lighting. Lighting is probably the single most make it/break it part of getting a good picture. I would hands down go with natural lighting and it's well worth waiting for a nice, sunny day. But once you have that good light you must wield it carefully. You don't want it to be too harsh or make hard shadows so avoid direct sunlight. I took my pictures at a time of day when the room was still bright but the sun wasn't hitting our picture zone (a.k.a. the bed). 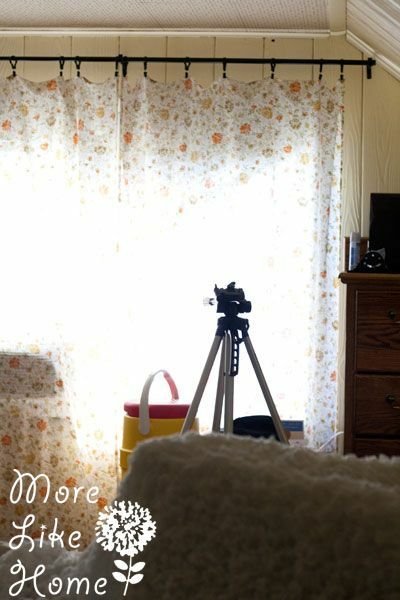 To cut the shadows down even more it helps to diffuse the light a bit with something like sheer curtains (the ones we had up are made from an old bed sheet and worked perfectly). I liked my results best when I shot with the light directly behind me, but you can try different angles and spots around the room to find what works. 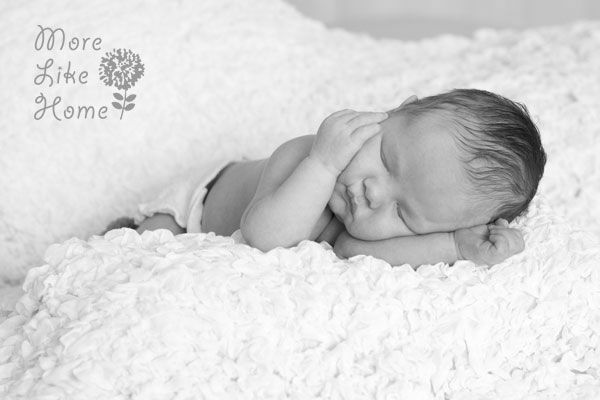 And you can always practice with an older child or a toy to find what lighting will work well before you hop into baby photography! Use a tri-pod. A longer exposure = a brighter picture, but it also means your pictures will be blurry if the camera moves even a little bit while you're snapping. So if your diffused light isn't bright enough you'll end up with blurry photos. A tri-pod gives you a lot more leeway. A Cozy Setup. 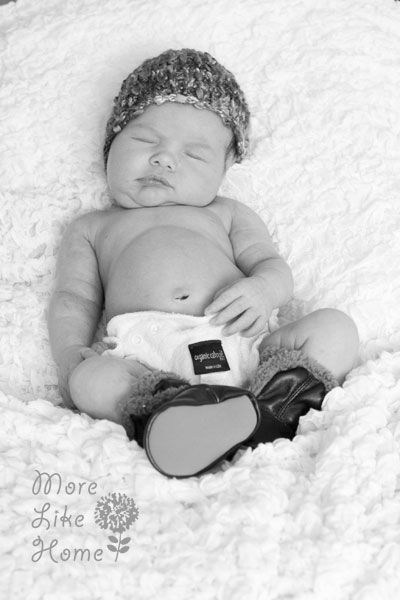 A warm, comfy baby is probably going to be more cooperative for photos. So make sure the room is nice and warm before you start. I set up my "studio" right on our bed so it would be super comfy, and it was pretty much the only place he had been at that point in his life so it maybe felt a little more familiar than anywhere else in the house. 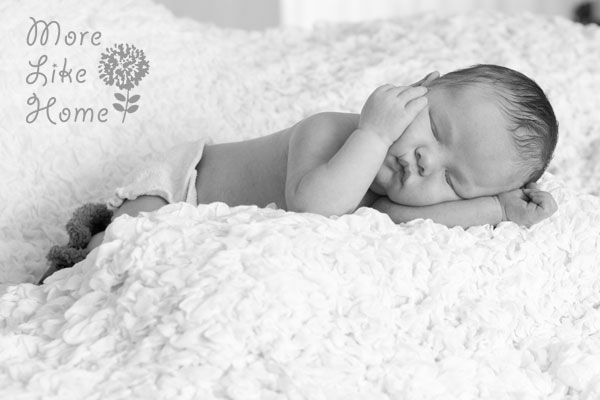 We used this blanket from Ikea for the pictures (I saw it when I was pregnant and snatched it right up for baby cuteness.) 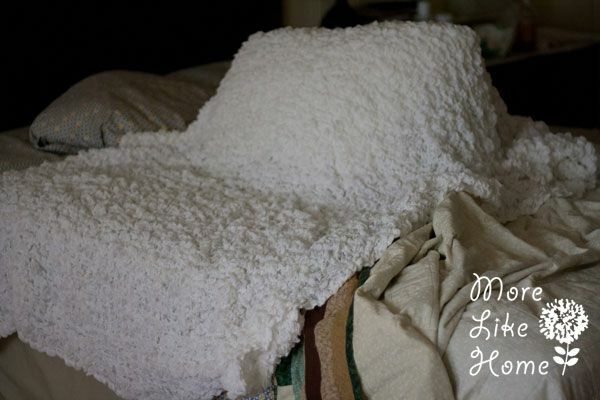 and I stacked some pillows under it to make the backdrop. Easy! Have a Helper. It's great to have a spotter if you'll be using a raised surface like a bed, plus they can help pat the baby back to sleep if they get restless (or be ready to snap while you pat the baby). And ohmyword I just thought of this. She totally could have taken mommy + baby pics while I snuggled him and kissed his toes. I have mommy baby pics with Big Brother but not with Baby Brother. Now I'm sad. Boo. He had to be soothed every few minutes so having a friendly hand to pat him while I kept snapping was great. Keep Snapping. I ended up with HUNDREDS of pictures. Honestly most of them didn't turn out very good, but when I sorted through I still ended up with plenty of keepers! Once I set him in a pose I just kept clicking even if he wiggled around. Give yourself as many chances to get it right as you can. And plus when you keep shooting even when the baby is wiggly you can end up with the best shot ever... like this tiny happy stretch that happened between poses. Use Props. If you want to. If you like it simple with just a diaper or a naked booty, that's cool too. The only props we used were our Ikea blanket, a white cloth diaper, a cute pair of booties and a hat my sister brought from a friend. Simple seemed good since I had no idea what I was doing. 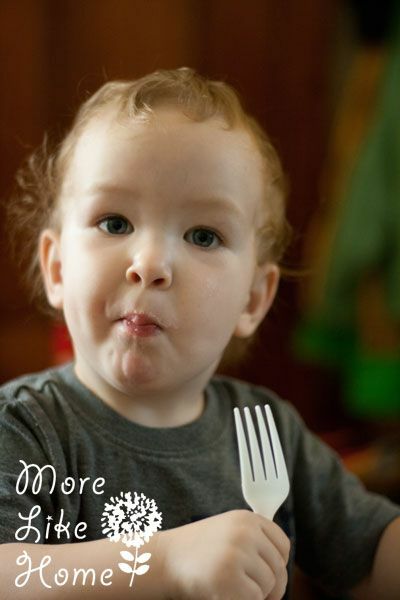 If you're feeling more adventurous there are tons of cute ideas on pinterest. Next time I think I'll try using a nice woven basket as a base in some of the shots. Try Black & White. I saved a black and white copy of most of the pictures in an editing program. It was kind of like doubling the number of shots I got! And it turns out babies look really cute in black & white, too. Most basic photo viewing programs can change your pictures to black and white (the one that came on my computer can do it), or you can use online programs like picmonkey.com, or most sites will even have that as an option when you're ordering your photos. I found there were a few pictures where one side of his face would be a bit red after he had been laying on it, and switching those pics to black and white helped to cover that up and make his skin look more even. Use a Good Camera. You can still get pretty good pictures with a regular camera as long as it has the option to change the setting manually, but a really good quality camera does make a big difference in the options you have, how easy it is to get a great shot, and the quality of your photos. ( If you're wanting to do large faux canvas pictures like we did, you need to make sure your camera has a minimum 10 megapixels.) We've had a Cannon Rebel for almost 6 years and we have really loved it. And it's more than paid for itself with what we've saved on professional photos. My sister used it to take Big Brother's baby photos, and we've used it for all our family photos (my sister has taken some and the rest we've done with a tripod and the timer setting. I know. Super cheap.). It comes with a nice lens, but we also purchased this one and it is far and away our favorite to work with, especially for the boys. I also recommend shooting photos RAW. This gives you the greatest ability to edit them later. It's a good idea to play around with the settings to find what you like and what works best in your lighting, but this post by Live Snap Love is a great starting point. Editing Software. The only other tip I have is use some kind of editing software after you take the pictures. It can take the ho-hum pictures and make them great. If you want to invest in a professional quality program (think investment for the long haul) I definitely recommend Lightroom. It's much easier to use than photoshop for photo editing and gives you all the options you need to make your pictures great. The easiest way I've found to improve the look of a picture in editing is to up the exposure and contrast a bit (and adjust the color balance if needed). And those changes you can make at least a little with free programs like windows photo gallery and online programs like picmonkey.com if you're not looking to invest in a software. 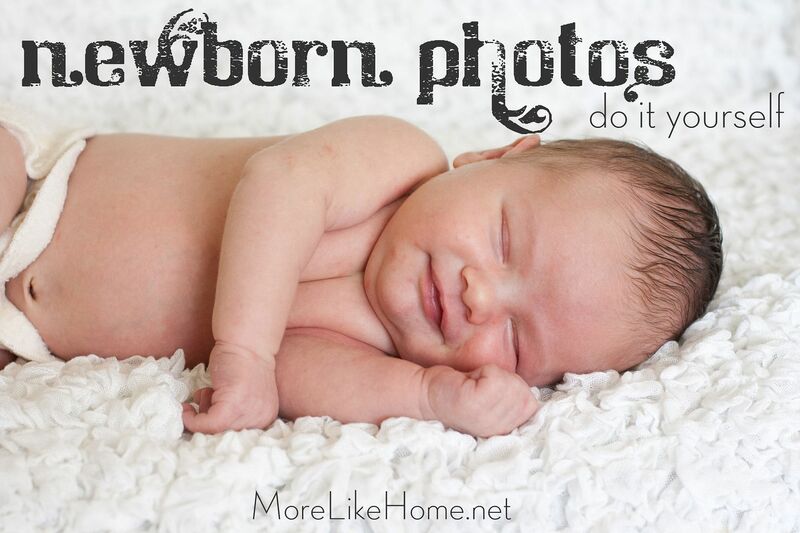 Have you taken DIY newborn or family photos before? I'd love to hear your tips! After all that Baby Brother, let's wrap up with a few pictures of Big Brother to even things out (all taken with our the camera & lens listed and edited with Lightroom). 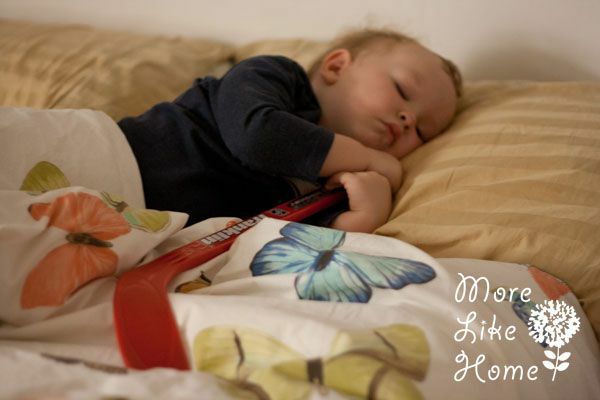 Nap in the guest room with a hockey stick. 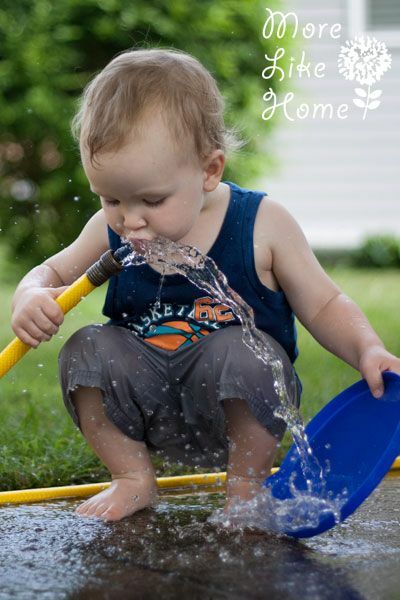 Summer fun with the hose. This was the day before Baby Brother was born! Fine. You can have whatever you want. 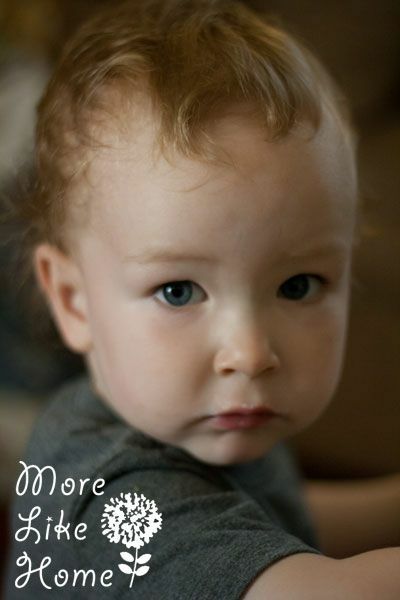 Mama cannot resist this sweetness. Great tips, thanks for sharing! The patience one can be a little tricky. :) But taking breaks would definitely help!